Once upon a time a man blew into a turtle shell and it is said that this echo produced a particular sound that had never been heard before: music. In a world made of caos in which men struggled for survival against an hostile nature something pure and new came to life. The first musical instruments used by human beings were shells, empty canes, even arrows and weapons that were used by hunters and by warriors. The word ‘music’ has a greek origin and means ‘muse’, a word always linked to any kind of arts. Music is nothing else than an overwhelming energy like the four elements of life, strong like earth, transparent like water, it burns like fire and surrounds you like the air. 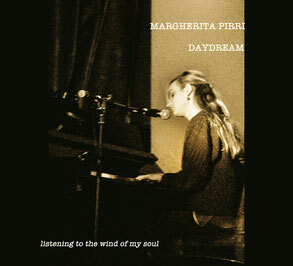 2017 - A collection of 20 songs taken from Margherita Pirri’s first 2 albums 'I'm changing'(2009) and 'My secret place'(2010) Hope you enjoy the listening, 'cos music is a daydream. 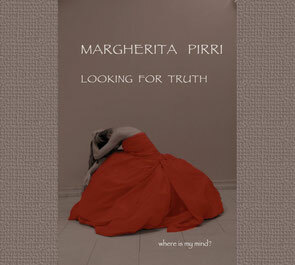 2015 - 15 songs that search for truth, so difficult to find in our complicated lives. Each person is a little world full of endless emotions, memories, sensations and colours. Are we ready to be ourselves? Are we ready to take our own decisions? A self discovering journey through darkness to find the light, in which sometimes words don’t matter at all, in which an emotion can turn into a place where we grow strong and that makes us feel at home. 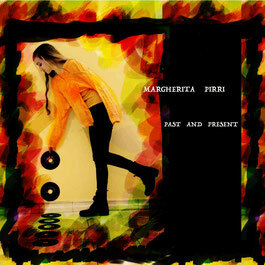 2011 - Music is a daydream; 13 songs that tell us stories, emotions, pieces of life; two songs ‘lonely moon’ and ’la lune se leve’ dedicated to the fascinating moon, ‘Cara Milano’, a portrait of the Italian city where you can still see sunsets, ‘Elegie-Lied’ a song with German lyrics and much more. Enjoy the listening.